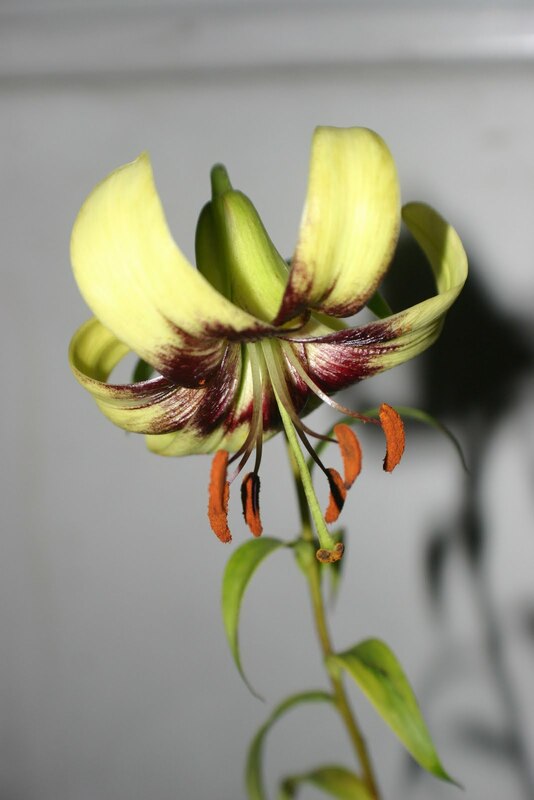 Rooftop botany goes to ground - my plant nursery: Just Lilium poilanei. That's all. Just Lilium poilanei. That's all. Here he is, the Lily I've been waiting all season to see, following the single flower bud from infancy, through adolescence, to at 6am this morning, adulthood. The pictures have been taken inside purely for wind reasons, Lilium poilanei is not a houseplant: although you might succeed if you have no heating and a north-facing windowsill. But I wouldn't recommend it. It will do best in dappled, shade growing in an open but moisture retentive soil, perhaps with a few Mecanopsis and Primulas among some of the smaller Rhododendrons. It will only cost you a tenner or so. On the same subject, I've been breaking every rule in the book by checking the pots of those bulbs that made no growth this year (all of them new and just settling in). All except one, either majoense of farrerii were in rude health, and ciliatum was the size of a cricket ball. With the slightly unhappy one I took of all trace of foul smelling rot, rolled the whole think in sulphur and replanted it in a much more open compost, placing the bulb itself on a pile of grit to keep the base dry. Bring it inside and lie on my back, that might work! This is quite a good one to finish on. 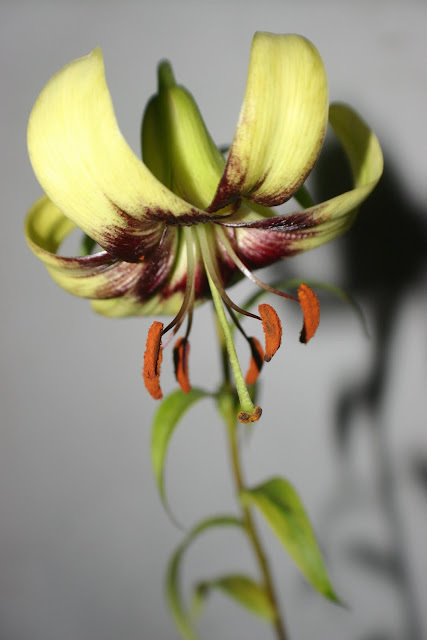 So there you are, Lilium Poilanei. I've finally flowered a Chinese green and brown job. And it's already had four babies! Well, I have many more shots of new blooms: Tricyrtis, Alstroemeria, Tropaeolum speciosum and, amazingly, from seed to flowering in 6 weeks, Corydalis sempervirens. Oh, and Bomareas and Ipomoeas. But for another day. Still awaiting these bomarea photos! 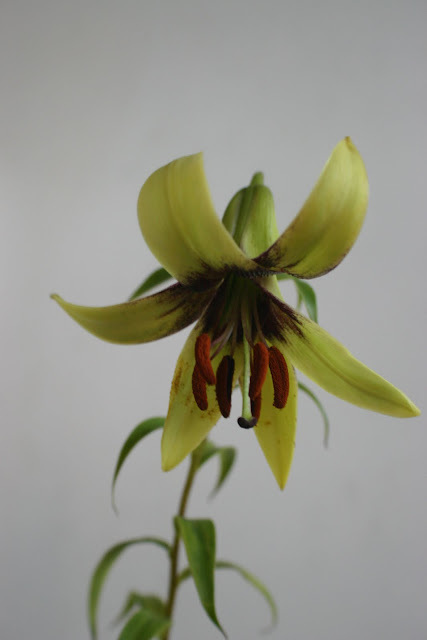 Hirtella germinated for me, I cant wait three years to see what it looks like in London! I am totally agree with i like it.